At St John’s School, we believe that homework is a worthwhile educational activity. Homework is given to help consolidate, reinforce and revise student’s skills, knowledge and understanding of class work. Home study does not consist of written work only. Spelling, basic facts are a regular revision task given to all primary students for homework. 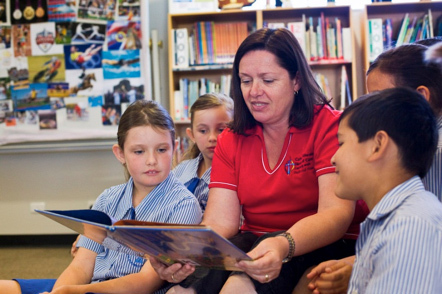 Reading each night is essential for students from Prep to Year 6. It is suggested that parents provide a suitable area at home (away from distractions such as TV, computer games, radio, etc) and allocate time for homework. Parents are requested to oversee homework tasks, and are encouraged to assist where possible. Homework is however, the responsibility of students and needs to be returned to school on the due date. Consequences for incomplete, unsubmitted or untidy homework are implemented by classroom teachers. If parents have any questions regarding a child’s homework, please make contact with the class teacher as soon as possible either by phone or in writing.